We must learn to be honest with who we are, then with that honesty we will know how to practice self-confidence. Be true of yourself, especially when you are engaging in conversation. 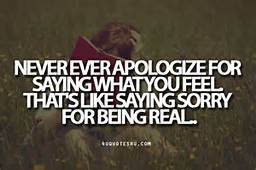 Our acts of speech and behaviour are an individual representation of ourself, always keep it real. We should never have to worry about saying sorry or feel we have to apologize for ourselves at any given moment. Feeling good in your own shoes is a blessing and one that many people don’t have, so when those shoes are a perfect fit you know without a doubt that you have no troubles honouring your Spirit. When the shoe fits you know you have treasured and taken really good care of your Souls intentions. It takes courage to be self-assured, and courage is hard to come by at any time in our life, so if you have an optimistic attitude congratulate yourself for your true grit. There will always be a want deep inside of us to connect the that little place of fearlessness, that exciting ball of energy that is so much a part of who we are. It is a deep desirable energy that pushes us to step outside of our comfort zone and the societal restrictions that ever increasingly are trying to restrain us from just being ourselves. We are taught from the start to act a certain way, to communicate what is expected of us and to live how society deems acceptable, but that way of life just doesn’t seem to fit for everyone. Do you feel like your living a movie sometimes, acting and playing with a prewritten script? Is it time for us to wash away the conditioning that has been placed upon our minds once and for all, is it time that we rise above what frightens us to death! Lets free our Spirit and allow ourselves to express the trueness of our Soul, we should be able to do this with ease and integrity, we shouldn’t ever have to feel alone. You are perfect just the way you are, all of your imperfections make you beautiful in your own unique way. You were born with a magical, fascinating, and alluring Soul. Let loose the chains and free yourself so you can shine today and every day forward. Be yourself, respect and honour the truth of who you are. Speak your truth, trust your actions, be confident and begin to observe the way in which your life unfolds, perhaps in ways that have only been a dream in the past.